Blue is an astonishingly gorgeous scrap kit by designer Chili Designz. This kit is filled will several shades of blue with hints of white and black. Kit contains 78 Elements, 10 Papers and 8 Frames. 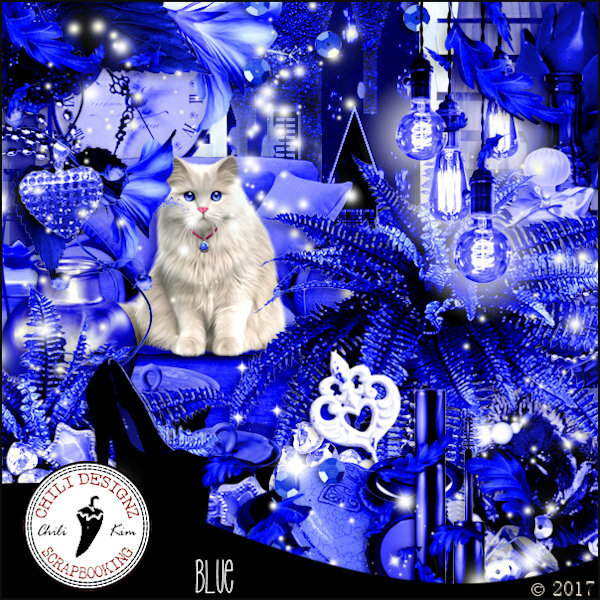 Blue is Exclusive to ScrapsNCompany and part of the Blue Store Collab 2018 which can be found HERE.